If women’s alternative clothing is what you're looking for then we have got the perfect collection for you. 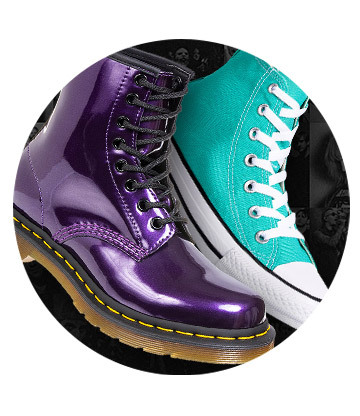 Widely recognised as one of the best in the business, our alternative women’s clothes all cater for the alternative, emo, rock and street scenes, plus a lot more! 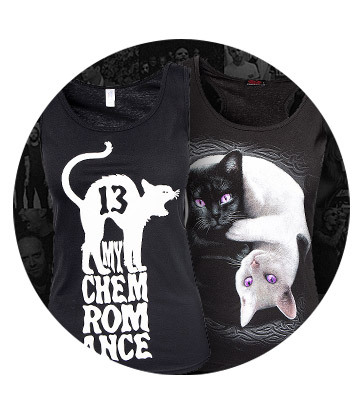 Contained in this range is a smorgasbord of the finest scene fashion brands around, from Hell Bunny and Jawbreaker through to Voodoo Vixen and Banned. We’ve also got the biggest of them all on board – Iron Fist – so that you’ve got only the finest women’s alternative clothing to choose from. 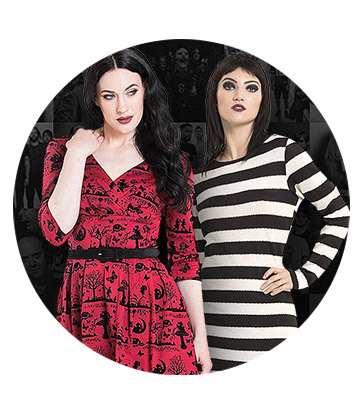 We pride ourselves on the level of women’s alternative clothing we have to offer, with dresses, corsets, hoodies and t shirts sitting alongside each other perfectly. 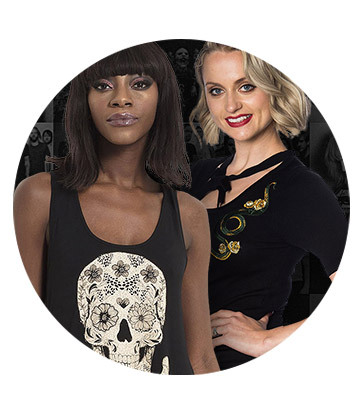 All of the alternative women’s clothes in our range are chosen to represent our style and yours, meaning you’ll always find something that you love that’s slightly alternative. And even if your fashion sense isn’t totally out there, we’ve got some great women’s clothing that you will love and that will go with just about anything. 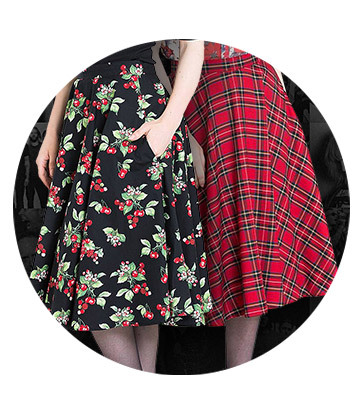 All seasons and all styles are covered in this complete selection so that you know where the home of women’s alternative clothing online is. 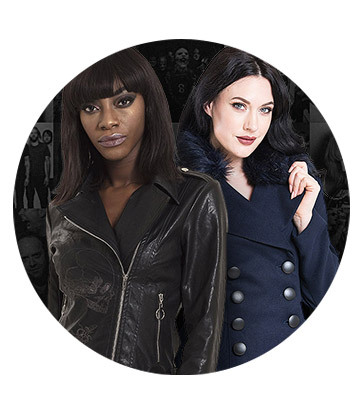 Sometimes women’s alternative clothing can be difficult to come by but not here – everything is easy to browse, read about and buy so that your shopping experience is as smooth as possible. 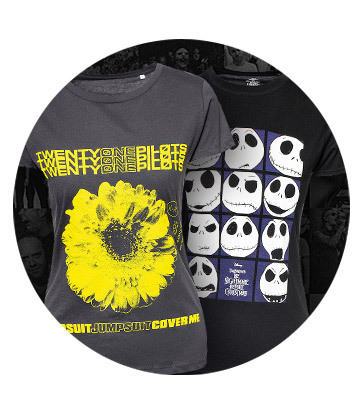 Along with fabulous designer brands we’ve also got our own branded Blue Banana alternative women’s clothes that offer the exact same style at an unbelievable price so you’ve got plenty of choose from in our online store. 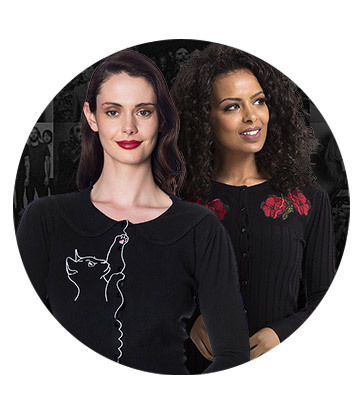 Whether you want some new casual wear, you need something to dress up, a new going out outfit is what you’re after or you even need some fancy dress, our women’s alternative clothing collection has something for you.